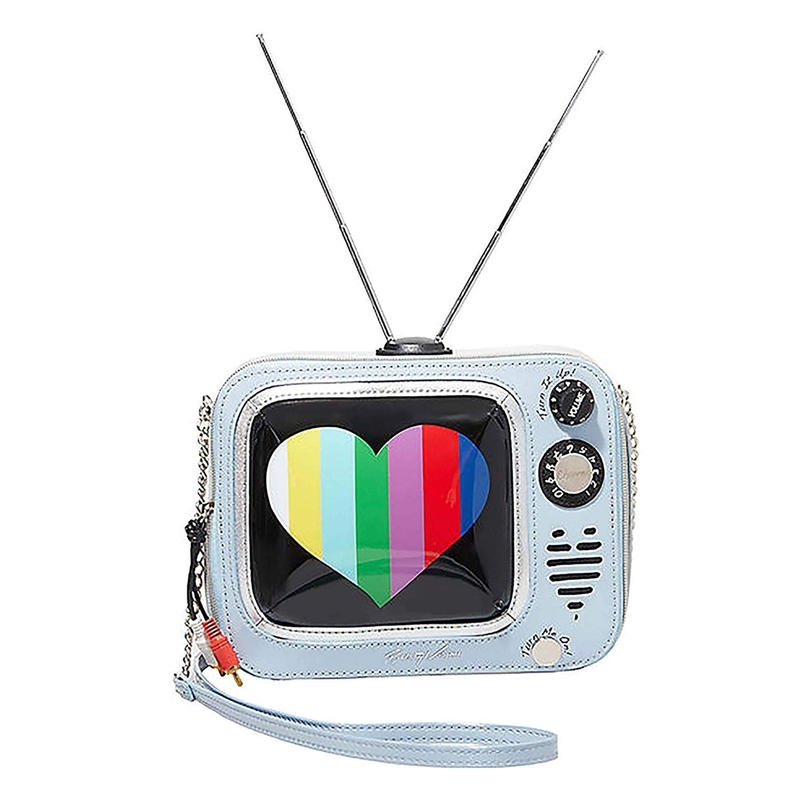 Tune in the cuteness with the Betsey Vision Crossbody bag from Betsey Johnson! 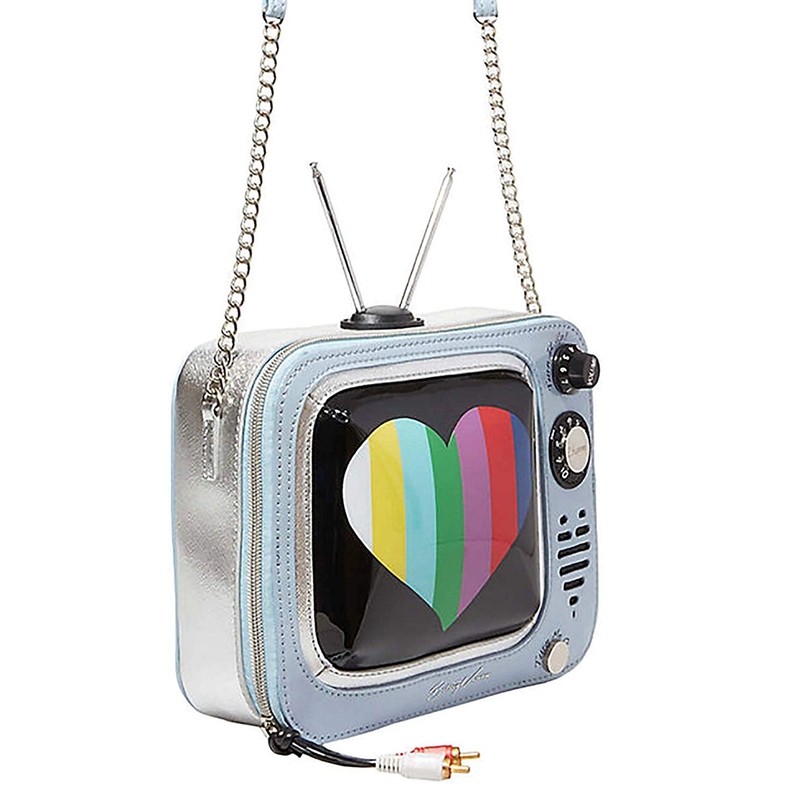 Featured in an old fashioned box television motif with a rainbow heart embellishment, TV antenna and dangling TV cables no detail is missed! 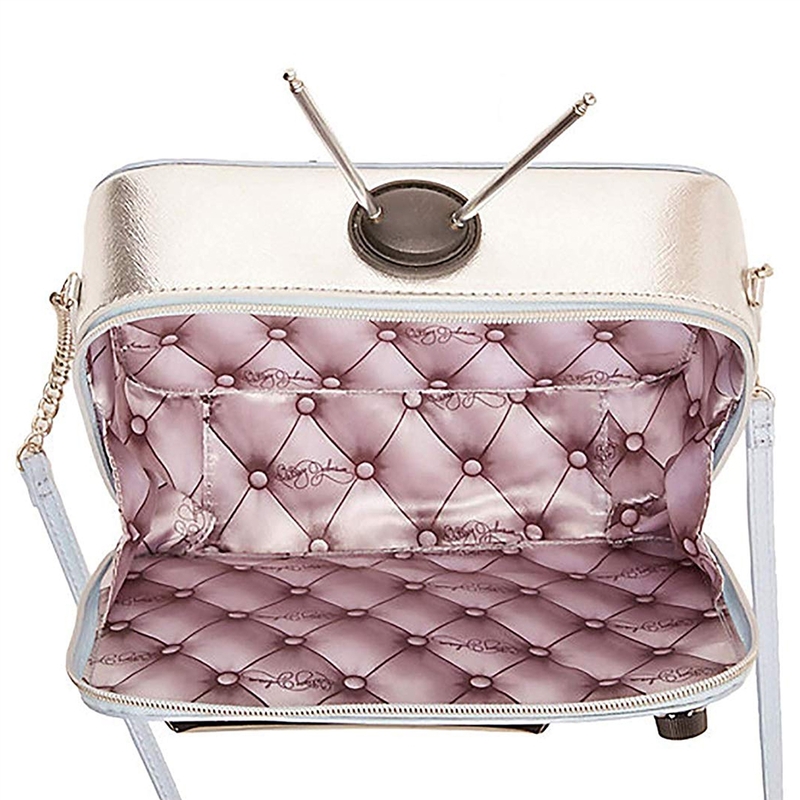 Crossbody bag shaped in a vintage box television motif in synthetic leather. 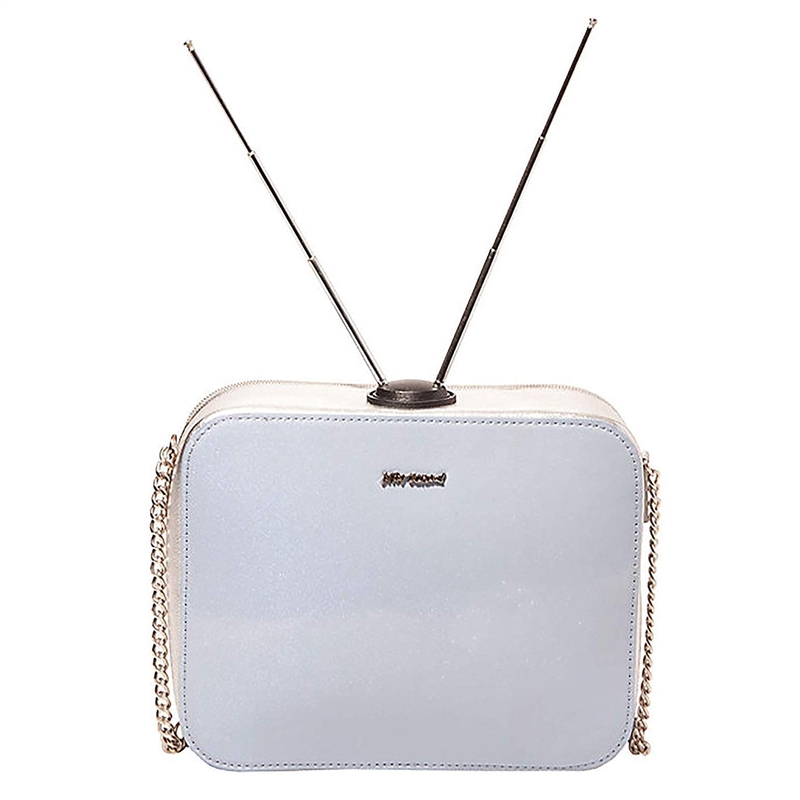 Features a antennas, turn channel controls and dangling cables.